65 percent of those surveyed enjoy a sit-down dinner at least five times per week. More than half the respondents sit down for breakfast at least five times per week. When it comes to recipes, media are more influential than word-of-mouth recommendations. Respondents cited cookbooks, recipe websites, food-focused magazines, and TV cooking shows as their resources for recipes—ahead of suggestions from friends and family. People are actively seeking mealtime ideas. More than one-third of respondents say they use recipes for inspiration more often than they used to. Over 60 percent of respondents say health and efficiency are the most important factors when considering a recipe. Busy schedules have prompted families to divvy up everyday cooking responsibilities: 25 percent of women say cooking is shared among family members and that husbands are increasingly tying on the apron. Prep time is changing, too: 48 percent of those surveyed cook in larger batches to save time. Finding deals has become a source of satisfaction and even a passion: 81 percent of those surveyed say they are proud of budgeting. Although supermarkets are the leading source for groceries, 55 percent say they shop at multiple retailers to get better deals. Consumers are purchasing healthier products at the grocery store: 95 percent say they know what’s healthy for them, while 87 percent say they read food labels. As part of the collaboration, Piperlime has redesigned the series’ “Accessories Wall” by painting it their signature green and loading it with fashionable accessories for the designers to choose from to complete each challenge. They will also feature a shopable version of the “Piperlime Accessories Wall” on piperlime.com, giving customers a chance to buy the items featured on the show. “We love shoes. We adore accessories. So it is especially meaningful that this partnership showcases that part of our brand’s heritage,” Gosselin continued. Each week, Piperlime will also have exclusive video content from Project Runway, offering behind-the-scenes insight from each week’s challenge winner. 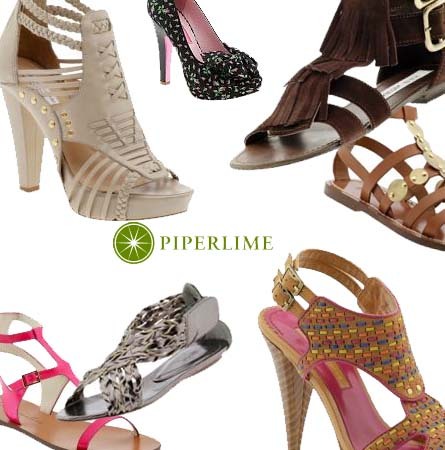 The season’s winning designer will have a chance to design and sell an exclusive collection on piperlime.com. The new season of Project Runway debuts on Thursday, July 29th on Lifetime. At all U.S. tour stops, Crystal Light will be in Lilith Village bringing fans a “Refreshing Oasis” where they can get out of the sun to relax and rejuvenate with cooling mist and massage chairs. Once there, they can also enjoy free samples of Crystal Light Pure Fitness. In addition to offering a refreshing onsite experience to help concert-goers stay hydrated as they enjoy the show, Crystal Light is hosting pre-concert tailgating events in select cities where women can enjoy music, fun and prizes, and stock up on summer essentials for a day at Lilith or whatever they have planned. Hysterectomy is the second most frequent major surgical procedure among reproductive-aged women (after c-sections) and according to a new poll by HysterSisters, an online community providing woman-to-woman support for gynecological health issues/concerns, 53 percent of women who had hysterectomies did not seek second opinions before scheduling their surgeries. A new study by ExactTarget finds women are more likely than men to subscribe to email marketing messages. The findings are based on a survey of more than 1,500 consumers aimed at identifying consumers’ motivations for engaging with companies through email, Facebook and Twitter. “Consumers are turning to Facebook and Twitter to show support for their favorite brands. However, when it comes to on-going deals, email remains the channel of choice,” says Morgan Stewart, principal, ExactTarget’s research and education group. Women are more likely than men to sign up for emails in order to obtain deals and promotions (67 percent compared to 57 percent). Millennials (consumers age 15 to 24) are twice as likely to subscribe to email (56 percent) in search of on-going deals as they are to search for deals on Facebook (28 percent). 88 percent of women indicate that promotions have motivated them to subscribe to email marketing messages, compared to 70 percent of men. 65 percent of women have subscribed to email marketing messages in return for a “free” product, compared to 44 percent of men. 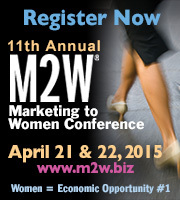 During the 6th Annual M2W®-The Marketing To Women Conference, SheSpeaks CEO Aliza Freud shared some interesting insight from the agency’s latest Shopper Marketing Study—which was conducted jointly with iVillage—that showed engagement with women through online community websites, forums and message boards all had a dramatic influence on driving product preference, loyalty and ultimately, purchase. According to the study, 77% of women say that they are more likely to look for a product in a store after reading a review about it on a community forum or message board and the majority, 67%, are also more likely to make an in-store purchase as a result of reading about it on a community forum or message board. The study showed that while social media networks like Facebook and Twitter are valuable communications channels, with 51% of women actively following brands and retailers online, these channels were cited as relatively less influential in prompting purchases (19%). Other digital channels such as online coupons (68%), online product reviews by consumers (61%), emails from companies/brands (45%) and articles read online (41%) are much more influential. “When it comes to building preference and motivating in-store sales, digital is emerging as a strong contender. If brands can motivate trusted customer recommendations and couple them with a “call to action” such as a coupon, it’s a powerful one-two punch that drives sales and advocacy,” says Freud. Digital communications have an impact on a variety of brand-related behaviors. Peer recommendations about products on message boards makes women more likely to look for a product in the store (77%), more favorable about the product while shopping (74%), more likely to choose the brand/product over others (70%) and more likely to purchase the product in the store (67%). The influence of digital channels varies greatly. Although 51% of women are fans or followers of grocery, health/beauty or household products brands and the stores that carry them, consumer reviews on shopping sites are a top influence for 61% of respondents. Online articles, by comparison, are a top influence with 35% of respondents saying that reading online content (articles) is more influential now than one year ago. Blogs were also identified as an influence by 33% of respondents. Facebook and Twitter fall to the bottom of the list with only 19% saying that posts from friends and 11% saying that posts from brands, are top influencers. Whether from online or offline sources, coupons and other consumers’ opinions are the top influencers of purchase decisions of food/beverage, health/beauty and household products. Online coupons (68%), store coupons (66%), consumer reviews on shopping sites (61%) and online recommendations from friends (59%) are the top influencers. Sixty percent also say that online coupons are more influential on their purchases now than one year ago and 51% say consumer recommendations on websites are more influential. Women are using the Internet to make shopping decisions. 81% of women have visited a superstore website in the past month, 70% visited a food/beverage brand website and 69% visited a health/beauty brand website. They also actively read email newsletters they receive from companies (61% read emails from food/beverage brands, 55% from health and beauty brands and 53% from superstores). Women spend between 6 and 60 minutes preparing for a shopping trip. This preparation includes doing product research online and offline, looking for coupons in multiple channels, reading email newsletters, etc. Although research channels used most vary by product category (ex: food/beverage vs. health/beauty), it is clear that brand marketers need to understand which are the most influential digital channels for their specific product. All content copyright 2008-2013 PME® Enterprises, LLC. PME®, PME EVENTS, and M2W® are trademarks and servicemarks of PME® Enterprises, LLC.